General Data Protection Regulation (GDPR)1 went into effect on May 25, 2018 in the EU with a global impact: any organization that has a web presence is required to comply with GDPR regulations if it collects personal data or behavioral information from someone physically located in the EU, regardless of whether or not a financial transaction takes place. There are many checkpoints along the road to GDPR compliance, but first and foremost is to obtain constituent consent to keep the data that you currently have on file. 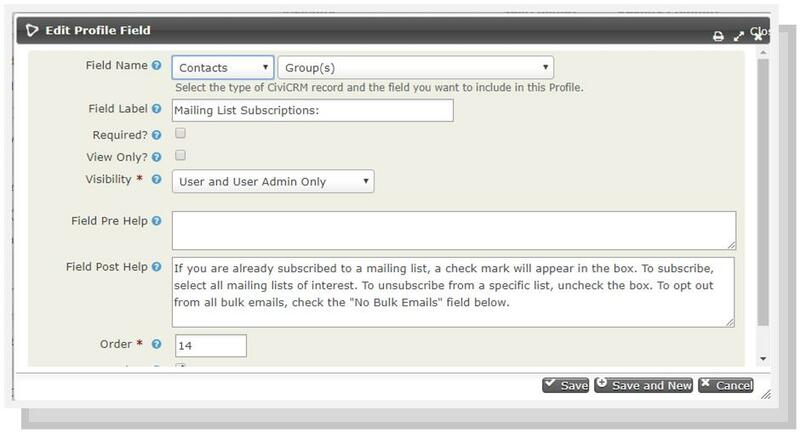 The following method describes how to configure a profile in CiviCRM that will display the contact information on file for a given contact and give them the ability to update the information as desired. 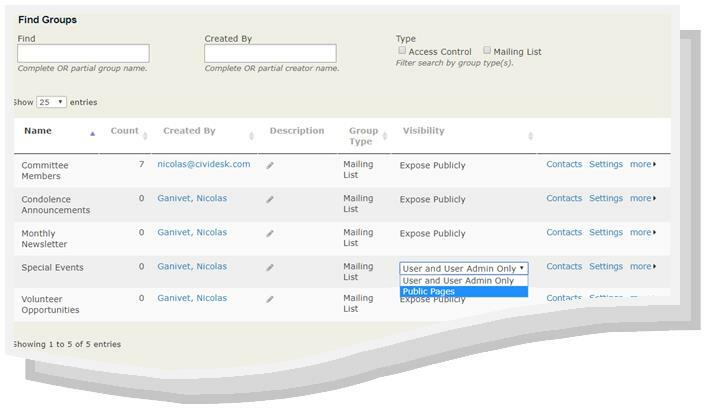 From the Actions drop-down menu, select "Group - create smart group"
Name the group "EU Contacts"
Name the group "GDPR Respondents"
Detailed documentation on profiles can be found HERE. In the profile settings, indicate that the profile is to be used as a Standalone Form or Directory. 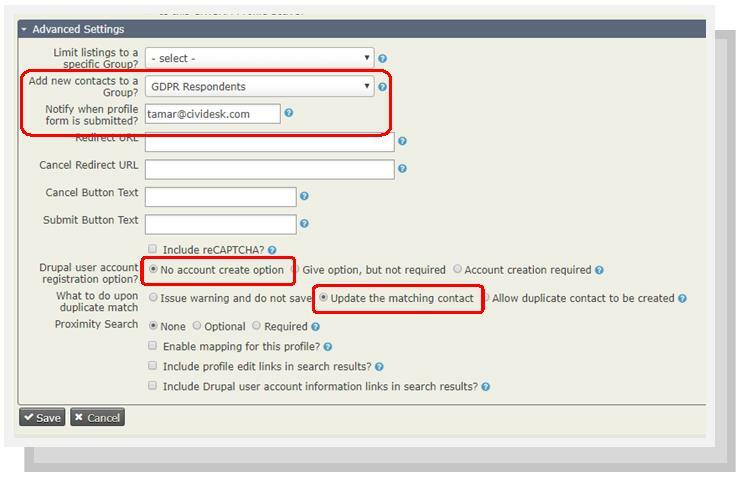 Make use of the profile's Advanced Settings to add contacts who submit the form to the "GDPR Respondents" group that you created for this purpose, and you can also opt to be notified every time the form is submitted. Once your profile is fully configured, the easiest (and most noticeable) way to have your constituents review and update their contact information, communication and mailing preferences is by sending out a mass email with a link to the standalone profile using a checksum token (detailed instructions for which can be found HERE). If you are using CiviCRM as a member portal, you can also include the standalone profile as a menu item visible only to authenticated users (i.e. users who are logged in). In this way, constituents have the freedom to update their information and mailing preferences as needed. An extension has been specifically developed for CiviCRM that provides additional features to facilitate the ongoing GDPR compliance process. If you are a Cividesk client and you would like to learn more about this extension, please contact your account manager. 1.You may find the Ultimate Beginners Guide to GDPR Compliance in 2019 a valuable resource in your organization's pursuit of compliance.